Gustave, a labourer, enlisted at Geelong on 21 February 1916 just before his 41st birthday. He was a married man with five children living in Marshalltown. He began his training at Geelong before transferring to Seymour with the 5th Pioneer Battalion, 3rd Reinforcements subsequently embarking from Melbourne on 28 July 1916 aboard HMAT A32 Themestosles. After further training in England Gustave arrived in France on 3rd November 1916. Each Division was allocated a Pioneer Battalion. The 5th Pioneers belonged to the 5th Division as light military combat engineers. They were located at the very forward edge of the battle area developing and enhancing protection and mobility for the troops. This consisted of constructing defensive positions, trenches, command posts and dugouts, preparing barbed wire defenses and making/repairing roads or bridges. Their skills and capability were broad from building, construction and maintenance to road and track preparation and maintenance. They could also, and did quite often, fight as infantry. His unit joined the 5th Division at Longueval on The Somme which was experiencing poor weather conditions. Their role was to get the trenches in some condition for use, repairing the Longueval-Rernafay Road and drainage of the railway tracks. The rain was causing the sides of the trenches to become mud hills constantly collapsing. The camps too were becoming waterlogged. After a fortnights work the battalion converted the Bernafay – Longueval road from a series of lakes & mud to a properly drained road with a fairly hard surface which traffic could negotiate without risk. On the Division returning to the Pioneer Battalion were detached to construct trenches to the front line as none existed in this sector and to constructed narrow gauge trench tramways. The digging of the trenches was extremely arduous as they involved a three-mile march to & from work over the sea of mud which constituted the battlefield. This march became easier as the duckboard tracks extended but the Germans kept shelling the area and destroying the trenches which then had to be rebuilt. The work obviously placed enormous strain on Gustave’s back as he was transferred to hospital with Lumbago on 19 December 1916. With no progress on his medical condition he was evacuated to England for medical treatment. Recovery was still not imminent so Gustave returned to Australia on 4 May 1917 to Agnes and their five children living in East Geelong and he continued his occupation as a labourer. They soon moved to Kilgour Street where they lived for many years before their final move closer to Geelong CBD in 1931. During the thirties there was a transition across the family to change the spelling of the name to Bench. Gustave’s birth and school registration surname spelling was ‘Baensch’. As a young man and on enlistment his spelling was ‘Bensch’. His children’s births were registered as ‘Bensch’. All the family deaths were registered as ‘Bench’. Gustave died at Geelong in 1946. He is buried with his wife but there is no mention of him on the tomb stone. His name is listed on the Bellbrae honour board. At the conclusion of Albert’s service he returned to the farm at “Eden Valley”, Narrogin, WA. He married Bertha and they moved around different farming locations. After Bertha died in 1947 Albert moved back to Narrogin continuing to farm. He died there in 1959. After Archie’s war service he worked as a labourer then as a glazier and lived in Wooloowin for many years. In 1954 he and Ellinor were living in Albion, Brisbane and continued to do so until Archie’s death in 1976. William, a wool sorter, enlisted in Cairns on 29 April 1916 at 49 years of age, recording his age as 44 years 9 months on his enlistment papers. His wife Margaret and daughter Miriam were living at Albert Park at the time. He was assigned to the 15th Battalion, 26th Reinforcement training at Thompsons Park. He trained for four months before embarking from Brisbane aboard HMAT A46 Clan MacGillivray on 7 September 1916. Two months later he arrived in England and was posted to Rollestone for a further four months training. On 14 June 1917 he proceeded overseas arriving at Havre where he was awarded 7 days’ pay for being improperly dressed on parade. Bouts of illness found William being admitted to hospital on many occasions before he was evacuated from France on 14 January 1918 with Trench Fever. He had three attacks of the same disease in the previous 9 months. The medical examination found him to also have premature senility which had been aggravated by his service in the war. William had served in both France and Belgium initially entering the line at Ypres and subsequently taking part in the fighting around Polygon Wood in the Third Battle of Ypres in September. During winter William suffered chronic rheumatism and further trench fever which caused him to be in and out of hospital. He was evacuated to England early in the new year where additional medical assessment found him unfit for further active service. William returned home to Margaret and their daughter Miriam in April 1918. The family moved around the Melbourne suburbs over the subsequent years with William working as a labourer. In 1936 they were living back in Geelong, William not working. He died in 1938 at the age of 69. He is buried in an unmarked grave at Geelong Eastern Cemetery along with his daughter. In November 2015 a tree was planted on this plot because there is no plaque to identify the remains of William and Miriam. James returned after the war to live in Geelong for a short time where May and their daughter were living. He worked as a grocer the same occupation he held before enlisting. They soon moved to South Australia where James died in 1939. After the war Archibald returned to Geelong and worked as a labourer, in 1924 he worked as a cook based on his navy experience. By 1937 he had moved to North Melbourne continuing his work as a cook. He was still working as a cook when he died at North Melbourne in 1943. After spending a couple of months in hospital in France and England because of the being exposed to Mustard Gas poisoning Donald went missing from the camp in England a couple of times at the end of 1918. Early in 1919 he did not return to camp, however it appears he did find his way back home to Australia. His wife Margaret died in 1919 and Donald continued to work as a carpenter and was living in the same pre-war house at Surry Hills in 1924. By 1931 his residence was England where he married Mary Sangster in 1939. Donald died at Surry North Western, Surrey, England in 1970 aged 81. After his war service Colin returned home to Torquay where he worked as a labourer. He died at Torquay in 1955. After returning from active service and recovering from his severe gun shot injury to his right forearm John returned to the family who now lived at Jan Juc having moved from Aireys Inlet. Within ten years he had moved not far to Wensleydale. In 1938 while camping at Winchelsea a search with 70 experienced bushman searching the countryside for him was established. His dog was found which led them to his body, death due to heart trouble. William returned after his service in the war to join the rest of his family at Jan Juc. They had moved from Aireys Inlet while he was serving in the war. He worked as a farmer for a few years then moved to Anglesea and worked as a labourer. He stayed around the Geelong area until the late 1940s when he moved to Port Melbourne continuing to work as a labourer. William died at Heidelberg in 1950. Robert was Head Teacher at Jun Juc State School in 1915 when he enlisted. He was invalidid home and lived with his parents and sister at Moonee Ponds. In 1922 he married Amy Barker and they lived where he taught at Moorooduc, Wycheproof, Beaufort, Geelong West and Box Hill where he retired. They had a daughter. Robert died at Box Hill in 1956. The Hosick family were residents of Ballarat when Richard was born, At the age of 7 both his parents, Edwin and Maria Hosick (nee Morrison) had died. While it is unclear who Richard lived with he did list his cousin Jane Douglas (nee Tutton) living in Jan Juc as his next of kin. 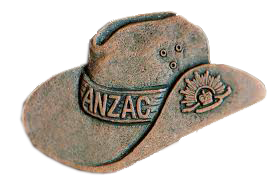 At 45 years of age he enlisted at Goulburn, NSW on 28th October, 1915 with the 4th Australian Machine Gun Squadron having military experience of 3 years in the Victorian Militia and 2 years in South Africa serving with the South African Light Horse. After embarking from Melbourne aboard HMAT A1 Hymettus on 12 September 1916, the squadron disembarked at Suez on 17 October 1916. Richard was transferred to the 7th Light Horse before being sent to ‘School of Instruction’ where he spent three weeks in further training. He served his time in Egypt returning to Australia on 24 July 1919 indicating on his discharge papers that he intended to reside in Sydney. Richard married Mary Hoffman in 1925 at Mudgee, NSW later dying in 1930 at Newtown, NSW. Lindsay enlisted 30/01/1918 at Sydney as a single man but was unable to pass the initial medical examination. The newspaper reported that the Geelong Exemption Court gave Ivan, a Jan Juc farmer, exemption from enlistment in November 1916 until the end of the year due to financial obligations. Then once having enlisted he was unable to pass the initial medical examination because of poor teeth. John a labourer working on the farm owned by William Douglas located in Jan Juc enlisted in Geelong on 24 October 1916 just before his 25th birthday. He was assigned to the 8th Battalion training at the AIF Royal Park Depot before embarking from Melbourne on board HMAT A7 Medic heading for England on 16 December 1916. While serving in England John was transferred to the 57th Battalion. He proceeded overseas to France on 25 August 1917 to reinforce the 37th Battalion. Seven weeks later during the battle of Broodseinde he was severely wounded with a gunshot wound to this arms and right leg. He was transferred to England for medical treatment before he returned to Australia in May 1918. Harold, a farmer at Swan Hill when he enlisted aged 26 years at Melbourne on 14 November 1914 two years before his brother Jasper. His connection with Jan Juc is mainly through his sister, Annie Maria who married William Richard Gundry of Jan Juc. Once married Annie and Harold’s widowed father (Gasper) moved to live with Annie and William at Jun Juc until his death in 1920. Their mother had also come from the area. Gasper was listed as Harold’s next of kin on his enlistment papers. On enlistment Harold was assigned to the 3rd Light Horse Brigade Train where he was given the new rank of Driver after 4 weeks of training. Harold’s duties were to be part of the supply section for the brigade. They sailed for Egypt from Melbourne on 2 February 1915 aboard HMAT A51 Chilka. 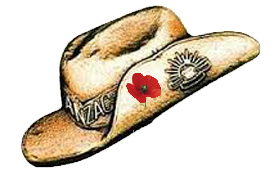 The brigade then went on to serve in Gallipoli. Harold was back in Egypt 20 Nov 1915 to be transferred to the 1st Australian Divisional Train, western Pioneer Force in February 1916 before being posted to the 55th Battalion of the 14th Field Artillery Brigade. 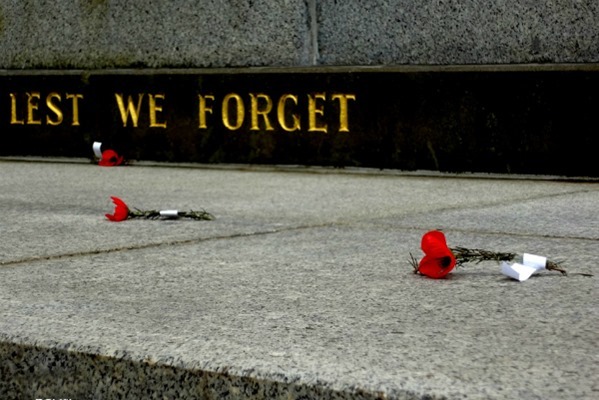 They landed in France on 29 June 1916 entering the frontline trenches for the first time on 12 July and fighting their first major battle at Fromelles a week later. The battle was a disaster, resulting in heavy casualties across the division. Although in reserve, the 55th was quickly committed to the attack and eventually played a critical role, forming the rear guard for the 14th Brigade’s withdrawal. Despite its heavy losses the 5th Division continued to man the front in the Fromelles sector for a further two months. After a freezing winter manning trenches in the Somme Valley, Harold was admitted to hospital with bronchitis. In early 1917 the 55th Battalion participated in the advance that followed the German retreat to the Hindenburg Line. It was spared the assault but did, however, defend gains made during the second battle of Bullecourt. Later in the year, the AIF’s focus of operations switched to the Ypres sector in Belgium. The 55th’s major battle here was at Polygon Wood on 26 September. Once the German offensive had been defeated, the Allies launched their own offensive in August 1918. The 14th Brigade did not play a major role in these operations until later in the month by which time Harold had been admitted to hospital with Pyorrhoea. He returned to his unit 18 November as the battalion was preparing their return to Australia on board the ‘Burmah’. After returning home back to farming land in the Wimmera he married Coral Bull in 1926. Harold turned his hand to being a plumber when the family moved to Albert Park after WW2. Harold died in 1967. Jasper was born in Charlton and was living at Teddywaddy when he enlisted aged 33 years at Melbourne on 13 March 1916 two years after his brother Harold. His connection with Jan Juc is mainly through his sister, Annie Maria who married William Richard Gundry of Jan Juc. Once married Annie and Jasper’s widowed father (Gasper) moved to live with Annie and William at Jun Juc until his death in 1920. Their mother had also come from the area. Gasper was listed as Jasper’s next of kin on his enlistment papers. 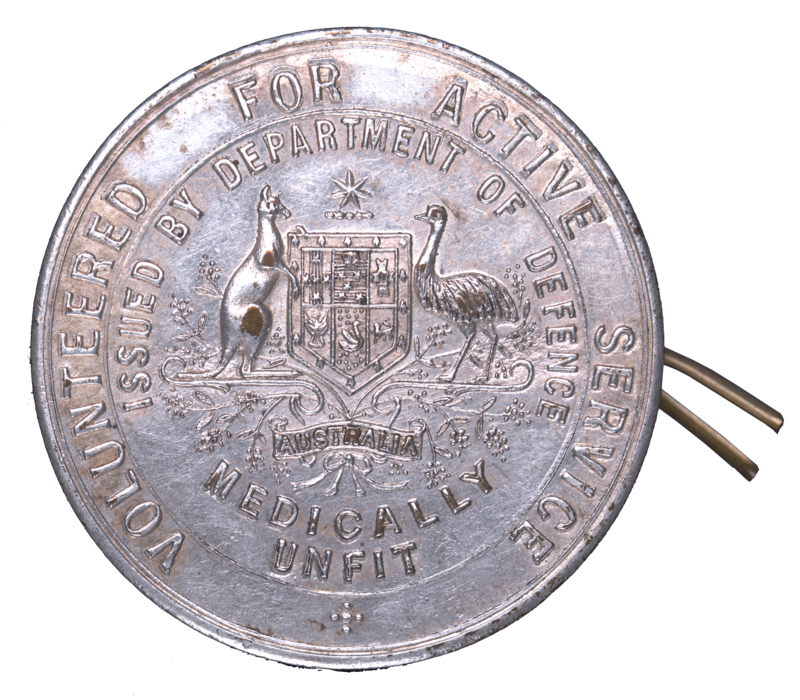 Jasper was initially attached to “C” Coy 23rd Depot Battalion at Royal Park before being transferred to “B” Coy, 24th Artillery Battalion training at Maribyrnong as Gunner. He spent a week in isolation at hospital and another at isolation camp at Maribyrnong after coming into contact with someone who had measles. In September just before sailing Jasper was transferred to the 2nd Field Artillery Brigade, 20th Reinforcement as Driver embarking from Melbourne on 20 October 1916 aboard HMAT A30 Borda. They arrived at Plymouth England on 9 January 1917 and proceeded overseas to France arriving at No. 1 section on 24 May 1917. At the time the battalion was located at Behencourt near Amiens resting and conducting training. There were 30 Officers, 837 other ranks, 174 riding horses and 72 light draught horses forming the battalion. In June their action was at Ovillers before their involvement at Pozieres, Advance to the Hindenburg Line, Bullecourt, Menin Road, Broodeseinde, Passchendaele, Hazebrouck, Amiens, and the Hindenburg Line again. Jasper returned to Australia aboard “Port Darwin” on 12 June 1919 and was discharged in October, medically unfit because of bronchitis. Once home he returned to Charlton where he remained working as a labourer then later as an agent. Jasper died in 1942 at Charlton. Daniel, a trapper, enlisted in January 1915 at Melbourne; he had some military experience in Senior Cadets. Daniel, his wife Christina and son William had recently moved from Fosterville near Bendigo to Jan Juc. On enlistment Daniel was assigned to the 7th Battalion training at Broadmeadows. He embarked at Melbourne aboard HMAT A62 Wandilla on 17 June 1915 bound for Egypt. The ship duly arrived in Egypt sometime in July and Daniel transferred to Gallipoli in September. A bout of dysentery had him hospitalised and eventually evacuated back to Egypt in November. While recuperating he had run-ins with the law – AWOL, drunkenness, resisting arrest and failing to embark for France. By July 1916 he had re-joined the 7th Battalion in France located at Pozierers. During an assault in the location of Bapaume Road Daniel went missing. A court of enquiry later determined that Daniel had been killed in action on 18 August 1916. He is commemorated at the Australian National Memorial, Villers-Bretonneux.